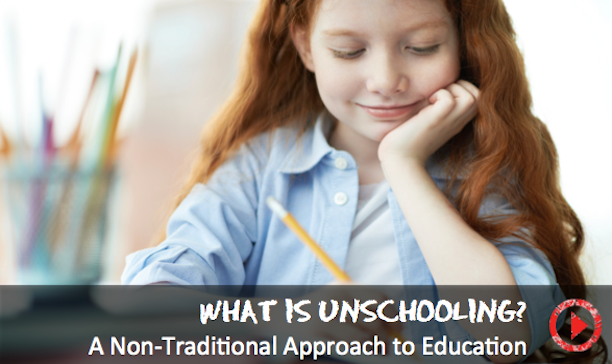 Unschooling is a form of homeschooling. We have similar days, we stay at home with our kids. The main difference is that we don't use a set curriculum; there's no grade levels, there's no tests, there's no expectations. For me unschooling is life learning, it's learning from everything around us, from people, from places. We go to museums, we take classes. The longer you unschool, the more you realize that learning is happening all the time, it's around us all the time. Similar to how we have a summer vacation, and we do different things and by the end of summer vacation you realize, "Wow, I've learned all this new stuff this summer and it contains all the different subjects.” Unschooling is an approach to learning based on trusting the child that they will learn and that they have an innate desire to learn.